The next limited time mode coming to Black Ops 4 Blackout is called Ambush, and as the name implies it’s all about sudden death. This mode will leave you finding nothing but sniper rifles and melee weapons. You’ll also have to keep moving fast, as the circle will keep moving nonstop once the collapse begins. Ambush’s official description notes that Skulker and Dead Silence will be a “hell of a lot more valuable” thanks to the weapon restrictions. Outlander will also be much more useful with the increased need to stay on the run from the circle. No word on whether Ambush will be focused on solos, duos, or squads just yet. 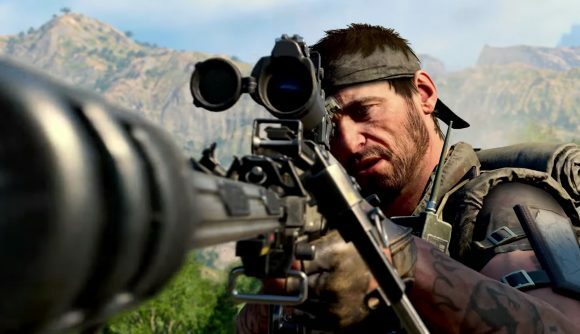 The new mode will like be subject to the same platform release cadence as other Black Ops 4 content, meaning a week of PlayStation 4 exclusivity before it launches on PC. Down But Not Out, similarly, is already live on PS4, but won’t be available on PC until later this week. If you’re looking to give the game a whirl, the Blackout free trial is still underway, currently scheduled to conclude on January 24. That’s still plenty of time to get a few rounds in.